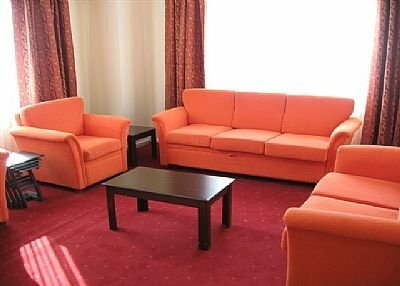 Thermal villa rental at 5 star hotel comfort in Afyon, Turkey. Dundar Termal Villas, dublex villa with indoor private thermal pool for upto 5 guests. Villa is connected to the 5 star Thermal Resort which is center of relaxation, beauty and health. Here, you can treat yourself to a spa or a choice of various massage treatments. You can refresh your body with the thermal water. There is a Turkish Bath with 24 hours thermal spa water running. Property is a dublex Villa. At the first floor there are kitchen, living room , thermal bathroom with small pool. AT the second floor two bedrooms and WC&Shower room. Thermal Villas are the most luxurious villas of Afyonkarahisar, designed in boutique style and offering five-star hotel comfort. Your residence in Afyonkarahisar. Located 50 meters away from Korel Physical Therapy and Rehabilitation Center, bringing physical therapy and rehabilitation together with spa treatment. People who wants to be away from crowded urban life, looks for new places and recreational areas to enjoy, rest and to see different places and to involve in different activities. Thermal tourism is one of the tourism types that has being constituted and is developing through this framework. In the last years, it is observed that thermal tourism has a rapid development and changes have been seen in the content of this type of tourism both across the world and in Turkey. In this research,Dundar Termal Villa's a termal tourism center in Afyon City is evaluated in the framework of tourism, potentials and opportunities of the area are identified in general and in a special context by an evaluation in the framework of thermal tourism, suggestions are made for the development of the area. ÖZDİLEK and İKBAL restaurants and shopping centers are located only 2 km away from our villas. Here, in the restaurants offering menus which address different tastes, you can find dishes suitable for your palate. We also recommend you to taste the dishes of IKBAL RESTAURANT located in the downtown of Afyonkarahisar. In the LOCAL BAZAARS OF AFYONKARAHISAR set up 3 times a week, taste the NATURAL cheese & village bread & opium paste & crème of water buffalo milk & green vegetables and plants of DIFFERENT TASTES, which you have not ever seen and tasted. CHEF’S RECOMMENDATION: On your way back from the local bazaar, we strongly recommend you to taste the famous LOCAL DISH named KESKEK, which is cooked only in a few restaurants in downtown. All the cooking equipments are available. There is thermal spring water and pool available 24 hours inside the villa. LCD tv with satelite. Suitable for a family with children upto 5 person.